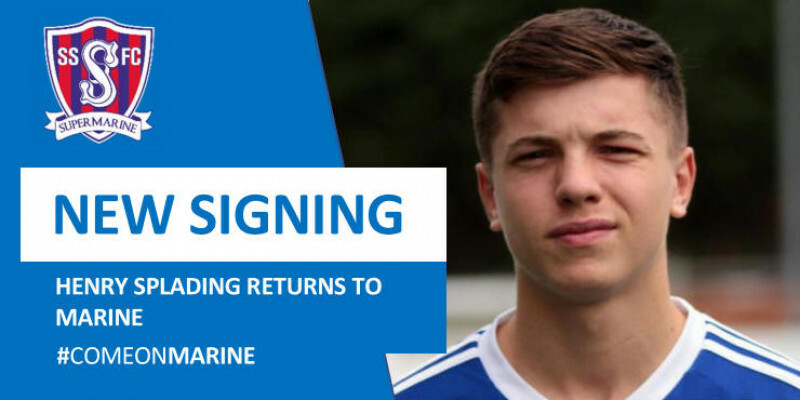 Swindon Supermarine Football Club is delighted to announce the return of midfielder Henry Spalding from Cirencester Town. Henry first joined the club at the start of the 2016/17 season after departing Bristol City, where he had been since his junior days, and made two starts and four substitute appearances before leaving for Cirencester Town in October 2016. Dependant on the paperwork being rectified by the Southern League in the morning, Henry will be in the squad that travels to Poole Town tomorrow evening. Welcome back to Marine Henry.